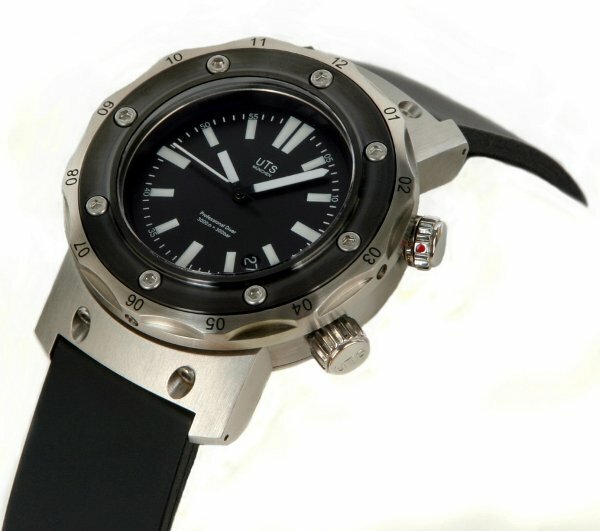 «In 1998 Mechanical Engineer Nicolaus Spinner and business partner Stephen Newman formed UTS Watches. Spinner who was making machine tools for the watch indstury in Munich Germany, believed he could make a better watch. Eleven years later, I still think he does. From our own exclusive designs, to making our own watch cases in house by milling the individual parts and fabrication of the case from a single block of steel, (as opposed to a cheaper process of stamping thecase from a mold). Our watches are unique and Invite you to see why.